Actually I had been wanting to read "Casting the Runes" for years because I knew it was the short story that the movie Curse of the Demon/ a.k.a. Night of the Demo was based on. Because the movie credits said that it was. But a short story is harder to find indexed for sale than a book title. So when I went looking for Escape today in OTR mp3 files, I saw the files unzip and there was Casting the Runes! EDIT: In the Escape episode I just played which was done very well, William Conrad plays Doctor Karswell (i.e. Aleister Crowley). Crowley in real life was called by the British press 'the wickedest man in Britain'. I will definitely get that movie and watch it and also listen to "Casting the Runes" again. I remember it was very well done. No, Margaret does not play the piano on "The Big Show", but she does sing and also parodies a comedy skit with Tallulah Bankhead. Margaret Truman sang beautifully and does so on this radio show. You can tell Tallulah Bankhead was thrilled to have her on as a guest and their segments together (which are many) are well scripted and quite funny (not the songs she sang but the skits they did together). She sang operatic numbers. The fact that Margaret Truman was Harry Truman's daughter (and he was the President at the time) was not overlooked, but it was handled with the greatest of care not to embarrass her. Many people at the time did make fun of Margaret Truman, but she was indeed a gifted musician and later a successful writer of several books, including Detective Novels. The photo you added was a very good one of her. I will also look for the ESCAPE episode "Casting the Runes" with William Conrad playing the part of Aleister Crowley. I may have it in one of the 11 Volumes that have been released from Radio Archives, but I think it just may be there. Aleister Crowley's place in history is truly one of the darkest imaginable for any human being. Many considered Crowley to be Satan himself or certainly a Satanic Disciple. Last edited by ZenithStratosphere on Feb Fri 08, 2019 6:26 am, edited 3 times in total. Really fascinating to hear Miss Bankhead on the radio. I only knew her from Bewitched where she was playing a sleazy, not a nice, character. I see on wikipedia her Father was Speaker of the House and her Uncle and Grandfather were U.S. Senators. Very interesting career she had with plays and movies winning awards etc. Bankhead's portrait being done in Wales (I think). I didn't know she was ever on "Bewitched"? Are you thinking of Agnes Moorehead who played the part of Endora, the mother of Elizabeth Montgomery? Of course she may have been a guest star on the program and I missed that one. She did a good deal of television work and was on the Lucy-Dezi Comedy Hour in one of their best shows. She also occasionally guest-starred in the "Batman" series as the "Black Widow", which was funny, but certainly not the most challenging part in her career. That role would probably be in Alfred Hitchcock's "Lifeboat", which was written specifically with her in mind. She and Alfred Hitchcock were very good friends. Two legends in one film, "Lifeboat". In fact if I am not mistaken her performance on the "Batman" series that was the last time she performed on television prior to her death. "Lifeboat" may have been one of the episodes on the "LUX Radio Theatre" or the "Screen Guild" show. I know she performed "Dark Victory" on one of those shows. Tallulah Bankhead had her first performance on radio in 1934 and she over the years guest starred on many shows until she got her own show with "The Big Show" in 1950. Ethel Barrymore actually helped her get started in the entertainment industry back in the early 1920;s and she became a favorite in England for several years and was greatly admired by Sir Winston Churchill. She was from a very famous and long-lived Political Family. There was a Bankhead in a major political position in Washington consistently for over 60 years. More than even the Kennedy family. Her father was from Alabama (as was her Uncle a Senator) and her father was also the Speaker of the House or Representatives. Franklin Roosevelt was going to select William Brockman Bankhead (Tallulah's father) to be his running mate for the 1940 Presidential election, and he was to accept the nomination as FDR's Vice-Presidential running mate, but sadly died of a heart attack the day the nomination was to have been announced. She only married once to the famous character Actor, John Emery. Tallulah Bankhead was really more popular on the Broadway Stage than any other medium. She received critical acclaim for her performance in "The Little Foxes", a movie role that later went to Bette Davis as did several others. The movie "All About Eve" was loosely based on the life of Tallulah Bankhead. Tallulah Bankhead used to joke that she made the roles famous on Broadway which paved the way for Bette Davis to make successful films (and more money) in Hollywood, and in many ways that is true. She was reluctant about hosting "The Big Show" feeling the part of the "Hostess" might diminish her role, but the opposite proved true, as she interacted very well with her guests and did many dramatic performances herself during the run of "The Big Show". She got along well with the shows talented Musical Director, Meredith Willson (later creator of "The Music Man" and "The Big Show" was lucky to have a man of his talents direct the music for the show. Her best friend was the British Actress Estelle Winwood. On Merv Griffin's show once Estelle Winwood stated she wished she could write a book about all the lies that had been told about Tallulah Bankhead, but she was too old at the time and never completed the book. It is a good episode on Youtube with William Demarest and Pat O'Brien also as Merv's guests with Estelle Winwood. That is a great oil painting of Tallulah Bankhead you added, which I think now hangs in a famous Art Museum. A color version of it is printed on the frontispiece of her Autobiography, simply titled Tallulah. thanks for spotting my error, yeah I was thinking of Miss Morehead. Well, I wonder if any of those Looney Tunes animations where they show all the 30's stars roaming around, had Tallulah up there on the big screen. That would be another movie she's in I suppose. "All About Eve" was loosely based on the life of Tallulah Bankhead." Wow one of my top 10 movies ever, the villain George Sanders won one of it's six Oscars that year (1951). Another movie perhaps somewhat like Lifeboat was the great Seven Days Later a.k.a. Seven Waves Away, a.k.a. Abandon Ship which I saw as I worked thru this book because Abandon Ship was alphabetically the first movie rated at least 4-1/2 stars. . (On Youtube, like a lot of the very old movies which is something Youtube allows). "Souls at Sea is a 1937 American adventure film directed by Henry Hathaway and starring Gary Cooper, George Raft, and Frances Dee. Based on a story by Ted Lesser, the film is about a first mate on a slave ship who frees the slaves on the ship after a mutiny overthrows the ship's captain. The title of this film was spoofed in the Laurel and Hardy comedy film Saps at Sea. "All About Eve" was truly one of the great Hollywood films. As it is loosely based on the life of Tallulah Bankhead, it is interesting to note that George Sanders was one of the guest stars on several episodes of the later episodes from the second season of "The Big Show" and was a big hit. George Sanders even made his operatic singing debut on "The Big Show" singing a very sad Operatic number. Somewhat of a premonition of the sad ending of his life. This would have been about the same time he made the movie "All About Eve" I think that show is on one of the segments or maybe the entire show from the second season as offered by Radio Archives in their Archives Treasures series. It is rare and oftentimes hard to find. Tallulah Bankhead also did perform a radio adaption of "All About Eve", but I am not sure if it was on LUX, "The Director's Screen Playhouse" or one of those type radio shows that were so popular during that time period before television took over. She makes a good many references to the film (as do others) in skits on "The Big Show". These were generally in poking fun at Bette Davis stealing the role that should have gone to her, but in actuality, they were very good friends. Tallulah Bankhead greatly congratulated George Sanders on his great singing voice and his operatic debut on her show, which to my knowledge he never used to much effect after his singing debut on "The Big Show". He was also a musician which included being a very talented pianist. You can tell though that Tallulah Bankhead and George Sanders were good friends, even though they poke a lot of fun at each other on the show. Her skits with Peter Lorre and Ethel Merman are some of the funniest I have ever heard on any radio show and the same goes for her comedy skits with Fred Allen (you could tell they greatly admired each other). The first 28 or so episodes of "The Big Show" (basically the first season) have been beautifully restored by Radio Archives and they have included a few others from the second season, where the George Sanders part (and his singing debut) is on, and I think it is on one of the Radio Archives, Archives Treasures series. I keep hearing the second season of "The Big Show" is being restored (or has been restored) and will eventually be offered for sale as there are a total of 57 ninety minute shows from NBC. So, I keep waiting as I would really like to get them all, but as of this writing still have to be content with what Radio Archives offers with their complete first season and parts of the second season in their Archives Treasures Volumes. The attached photograph is of Alfred Hitchcock and Tallulah Bankhead, probably made when he directed her in "Lifeboat" around 1944. As noted, a radio adaption of "Lifeboat" was on I think Screen Director's Playhouse, or a similar program with Tallulah Bankhead reprising her film role on radio. Last edited by ZenithStratosphere on Feb Wed 13, 2019 8:39 pm, edited 1 time in total.
" ....at her home near Montgomery, Alabama, in which the guests were asked to entertain. "I won the prize for the top performance, with an imitation of my kindergarten teacher", Bankhead wrote. "The judges? Orville and Wilbur Wright." If she was in kindergarten, she then that would be 1907. I have that performance I think on one of the Radio Archives, Archives Treasures series. They have some additional shows from the second season of "The Big Show" in that series but not all from of the second season. I will find it and get the name of what [b]George Sanders sang. [/b] From what I remember it was from an Italian Opera and the song was very sad dealing with regrets in one's life. I have a lot of CD's from Radio Archives and finding a specific number can be difficult, but will post it once I find the song. I am no gauge of singing abilities, but he sounded like a Professional Opera singer. He had a full, deep bass sounding voice. At the end of his singing debut, Tallulah Bankhead congratulates him on a very impressive job in singing and makes a reference that he would definitely go on to the Metropolitan Opera in New York. His singing was really that good. Hearing George Sanders sing this very beautiful but sad operatic song was an uncanny insight into the inner life of George Sander's and in ways predicted his much later suicide. The Aria obviously had a special meaning for him. That was the impression it gave me. I think he was on "The Big Show" for maybe 2 or 3 or the later shows from the second season, but the Radio Archives Archives Treasures series only has one of those performances, and luckily it is the one where he sings. The photograph shows George Sanders, Peggy Lee, Groucho Marx Portland Hoffa (Fred Allen's wife facing sideways), Fred Allen and Tallulah Bankhead. George Sanders was on "The Big Show" 7 or 8 times, but I think this photograph was from Episode #56 (AFRS-Armed Forces Radio Services) when he made his singing debut of Verdi's Aria "The Tortured Spirit" from his Opera "Simon Boccanegra" . Last edited by ZenithStratosphere on Feb Mon 25, 2019 10:36 pm, edited 2 times in total. Sometimes is astonishing which actor has a singing voice. Jim Neighbors (Gomer Pyle) could sing Broadway show tunes but his LP album includes The Impossible Dream (from Man of La Mancha). And Ken Curtis (Festus on Gunsmoke) had earlier replaced Frank Sinatra when he left the Dorsey band. But Sanders singing opera fluently seems to me even more improbable (but however true). The Aria George Sander's sings is from Verdi's Simon Boccanegra. He pronounces the Aria in Italian (which I cannot spell) but Tallulah gives the English translation. In English the Aria he sings is titled "The Tortured Spirit". I found it on the Radio Archives, Archives Treasures Volume 21, Disc 3. That CD contains the remaining portion (Part 2) from "The Big Show" Sunday May 6, 1951 which is on Disc 2. There is also a second section on this same CD (#58, Disc 3 which aired Sunday April 13, 1952) from the AFRS (Armed Forces Radio Services) and is about 30 or so (maybe more) minutes from that particular # 58 show. It seems to be an edited version of "The Big Show" that was done for the AFRS. I don't think this is available from any source of the additional episodes of "The Big Show' other than through Radio Archives. But it does contain the opening of "The Big Show" with a long introduction by George Sanders of himself. Groucho Marx was also one of the guest's that same evening. At the beginning of each episode of "The Big Show" Tallulah would ask each of her guest's for that specific evening to tell a little about themselves. George Sander's really overdoes it listing all of the schools he wished he had attended and how he ended up in Hollywood working lately on a movie he called something like "All About.........and he feigned not being able to remember the name! It was the longest biographical information of any guest I have ever heard anyone give on "The Big Show". His introduction is quite funny, but has a dark side to it also. Then Tallulah announces that George Sander's will give his singing debut on "The Big Show" singing "The Tortured Spirit" from Verdi's Opera Simon Boccanegra. It is beautifully sung and quite professional, I wonder why his singing voice was not explored more than was the case? In George Sander's introduction, he states that he was "An Actor, Composer, Singer, Inventor, Artist, Linguist, Pianist and since this is my 7th appearance here on "The Big Show", a Masochist!" That line got a lot of laughs, as does so much of what was written by some of radio's greatest writer's for "The Big Show" has proven. So, there it is and glad you mentioned wondering what the song was as I have really enjoyed hearing it again, as George Sander's does such a good and very professional job. I knew he was a talented Pianist and Actor, but never knew about his other many talents including his beautiful Operatic singing voice. Hearing his voice again only makes me wonder why his singing voice was never put to use again, either in one of his movies or even with the Metropolitan Opera as was suggested by Tallulah Bankhead. The musical accompaniment was provided by "The Big Show" Orchestra and Chorus conducted by Meredith Willson. Last edited by ZenithStratosphere on Feb Thu 14, 2019 8:21 pm, edited 6 times in total. Astonishing to me that Sanders was a composer, I will have to search for any recordings of his work. From the film: Rebecca. Although Rebecca (who doesn't appear in the film being already dead) is the villain, predictably Sanders was Rebecca's lover who is also to blame for the sad situation pervading over the Manderley estate. Rotten Tomatoes gives the film 100%, not sure there is another rated that high. Another classic movies Sanders appeared in, although in this one he did not win the Oscar. "Rebecca" was one of the great Hollywood films from the Golden Era written by Daphne du Maurier (and directed by Alfred Hitchcock who also did his radio adaption). George Sanders was excellent (as they all were) in the various roles. It was filmed in Black and White which only added to the mystery and overall feel of the film, making it much better than if it had been filmed in color. Rebecca also had its' share of radio adaptions. I think Orson Welles did his own version with his Mercury Theater on the Air. It may have been on other radio shows such as the Screen Director's Guild and possibly on The LUX Radio Theatre. I have read that in the early days it was announced [b]"Rebecca" was going to be filmed and many actresses wanted the main part and hadn't read the book. Many thought it was the character of Rebecca and wanted to try out. It was only later they found out the character of Rebecca was never seen in the movie and had died before the movie began! It helped to eliminate many Actresses who wanted the part. I think Joan Fontaine starred in both the movie and the radio adaptions of the film. Of course they could have done the movie with flash-backs, but that wasn't the case as such was not written in the book. But by the end of the book, Rebecca is so well described in the book, the later reader, viewer or listener felt they knew her as well as the living characters. It is interesting that so many of these Actors were also composers of music. Lionel Barrymore also composed music and was also a very talented Artist. On one of the radio adaptions of "Rebecca", they have a live interview with Daphne du Maurier at the end or during of the show from her home in London. They ask her what truly was the ending in "Rebecca" and she refused to comment any further. Tom Conway was the elder brother of George Sanders and he starred in many of the radio shows at the time playing private detectives including The Falcon, Sherlock Holmes, Bulldog Drummond and The Saint) and psychiatrists including many other radio shows and movies. The second photograph (in Black and White) is Tom Conway. You can see their resemblance. Last edited by ZenithStratosphere on Feb Thu 14, 2019 10:14 pm, edited 5 times in total. You mentioned other stars (Jim Nabors, etc.) that also had good singing voices. Ken Curtis had his own radio show ( 2 Volumes are offered through Radio Archives) where he sang with his guests and other performers for the full show in the late 1940's, long before he appeared on the television series of "Gunsmoke".. Even William Conrad had a good singing voice. His deep bass voice was as surprising to hear as was the case with George Sanders. William Conrad did not really sing on "Gunsmoke", but he did hum a few tunes and Miss Kitty always congratulated him on having a good singing voice. Georgia Ellis (Miss Kitty) is really the only other one I have heard sing on "Gunsmoke". She did her own rendition of the then newly written song, "Home On The Range". Chester (played by Parley Baer) would also sing and hum a few lines (on several occasions) of the old time Gospel Hymn, "Love Lifted Me". They did not have the great voices though on the order of either George Sanders or William Conrad. Once when Judy Garland was giving a concert her voice gave out. Jerry Lewis was hosting the show and asked to fill in and sing for Judy by Sid Luft. Jerry really didn't want to sing but asked what song Judy planned to end on and it was "Rock-A-Bye Your Baby With A Dixie Melody", and so he sang it with Judy Garland urging him on. He did such a great job, Jerry Lewis was in the studios 3 days later recording "Rock-A-Bye" and it became a top hit for a time on radio and for sale on 45 RPM records. I don't think Jerry Lewis had a shy bone in his body and he would attempt anything! Last edited by ZenithStratosphere on Feb Thu 14, 2019 9:50 pm, edited 1 time in total. Well now I'm going to have to look for movies with Tom Conway in it. "My daddy came west to Kansas, to make his home in Kansas, but all he made was his own grave when he crossed the path of killer Dave...."
One time Chester arranged chairs and blankets into a sort of hunter's duck blind inside the Marshall office and was singing that song when Doc walked in and started laughing at him. John Meston was the talented writer responsible for most of the stories and character developments on "Gunsmoke". He worked initially on the radio show and then worked conjunctively on both the radio and television show. Other writer's were involved, but most had to have the editorial approval of John Meston. In the radio show (which ran from April 26, 1952 until June of 1961) Parley Baer played the part of Chester Wesley Proudfoot. William Conrad initially gave him the name of Chester, and Parley Baer came up with his middle and last name of Chester Wesley Proudfoot. By the way, "Gunsmoke" was the last dramatic show aired from CBS Studios in Hollywood. With the closing of "Gunsmoke", so ended the Golden Age of Radio. Chester's last name was changed to Chester Goode for the television series, and nobody seems to know why. Of course after Dennis Weaver left the show, Ken Curtis took the part of Festus, which I assume was to replace the part of Chester. I think you will be quite impressed with the work of Tom Conway. George Sanders is somewhat remembered today especially for winning an Oscar, but Tom Conway is not so well remembered. Most people today seem to get his name mixed up with the Comedian Tim Conway, who is still alive and performing. His son Tim Conway, Jr. is an announcer on KFI AM Radio Station in Los Angeles and can be heard daily. [quote="Federated_P"]Well now I'm going to have to look for movies with Tom Conway in it. I watched the Youtube of Dennis Weaver singing that song and he wasn't bad. I really only listen now to the "Gunsmoke" radio show and hear Parley Baer sing his "Love Lifted Me" song, but he really only sings maybe only a part of a verse of the song or either hums the melody. I got out a boxed set last night of Tom Conway playing Sherlock Holmes. He took over the radio version after Basil Rathbone left, but Nigel Bruce stayed on as Dr. Watson. 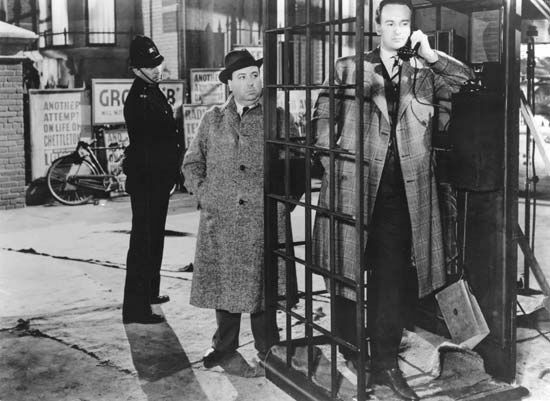 Tom Conway only did the radio show of Sherlock Holmes for about a year (1946) or less and then it went to John Stanley. After that the role of Sherlock Holmes went briefly to John Guilgud, but as radio was coming to an end, his version didn't last long. It also starred Sir Ralph Richardson as Dr. Watson and only on radio in 1955. Those episodes are the rarest of all the Sherlock Holmes shows. John Guilgud and Sir Ralph Richardson were both very talented actors and I would like to eventually hear them in this role. I always tend to get Tim Conway, Jr. (the son of the comedian Tim Conway) confused with Tom Conway because I hear Tim Conway, Jr. all the time on KFI AM radio out of Los Angeles today, but George Sanders brother is named Tom Conway and not Tim Conway. I have heard Basil Rathbone, Tom Conway and the John Stanley versions and they are all good. Basil Rathbone will always be my favorite, but only because he did so many of the Sherlock Holmes movies. Tom Conway really is just as good and also Nigel Bruce stars with him on radio. John Stanley was very good, but I think Tom Conway was the better of those two or certainly as good. The unmarked photograph below is of Tom Conway and the photographs of Basil Rathbone and Nigel Bruce are marked with their names. The black and white oil painting you posted of Tallulah Bankhead was probably done in the 1920's by the noted Welsh Painter Augustus Edwin John. A color print of it is used on the frontispiece of her Autobiography simply titled, Tallulah. I found and posted the actual color version of the oil painting and it is below. It now hangs in a famous Museum. She discusses her work on "The Big Show" in her Autobiography as does her Musical Director, Meredith Willson in some of the books he later wrote which are considered some of the best writings on the Broadway and radio of the time ever written. Tallulah Bankhead never seemed to enjoy her work in Hollywood but definitely preferred her Broadway and Stage work and also seemed to really like her radio work on NBC's "The Big Show". Tallulah Bankhead was named the Woman of the Year by the Radio Association of America in 1951, as "The Big Show" had great critical acclaim. Meredith Willson with his Orchestra and Chorus were on radio a good deal and if I am not mistaken he also had his own radio show. There are several Internet sites with his radio programs available for sale in addition to his well-known Broadway Plays and movies, as his the radio work is relatively unknown. It is amazing what one can find on Youtube. George Sanders did record one record after his singing debut on Tallualah Bankhead's "The Big Show" It is called "the George Sander's touch, songs for the lovely lady.". He sings the old standards as opposed to the Italian Opera he had previously sung on "The Big Show". In hearing the two, his Operatic voice sounded better than was the case to me when he recorded this album, probably many years later. There are many segments from "The Big Show" with Tallulah Bankhead doing interviews and skits with her guests on Youtube, but the quality on every one I have heard is inferior, and on many so bad you can hardly understand them. I have the 5 Volume CD sets of the first 28 (basically the first season) or so of the shows from Radio Archives which have been restored and the sound and tonal quality is as good as when the show was initially broadcast if not better. There are a few other shows from the second season on the Radio Archives, Archives Treasures series which are also restored back to crystal clarity. I would try and put on George Sanders singing debut (which is not on Youtube), but I don't know how or if it would even be legal. So, if you do listen to the one's on Youtube, just remember there are the Radio Archives shows which are superior in quality as opposed to what is on Youtube. Such is not the case with everything on Youtube, but it is the case with their transfer of the segments of skits and other performances from "The Big Show".